Yvette Nicole Brown attends the Essence 11th Annual Black Women In Hollywood Awards Gala at the Beverly Wilshire Four Seasons Hotel on March 1, 2018 in Beverly Hills, California. Yvette Nicole Brown sealed off her ensemble with a pearl-hued sequin clutch. 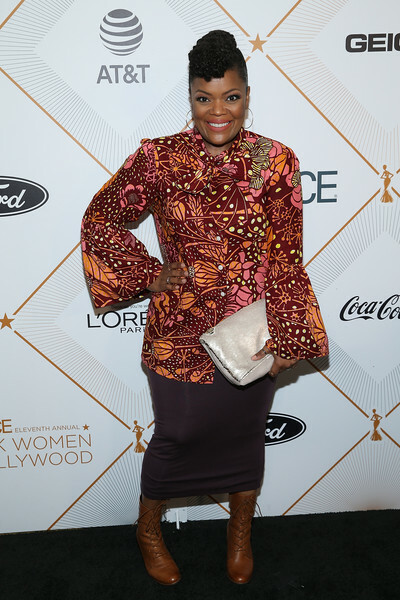 Yvette Nicole Brown worked a vibrant print at the Essence Black Women in Hollywood Awards. Yvette Nicole Brown teamed her blouse with a brown pencil skirt.